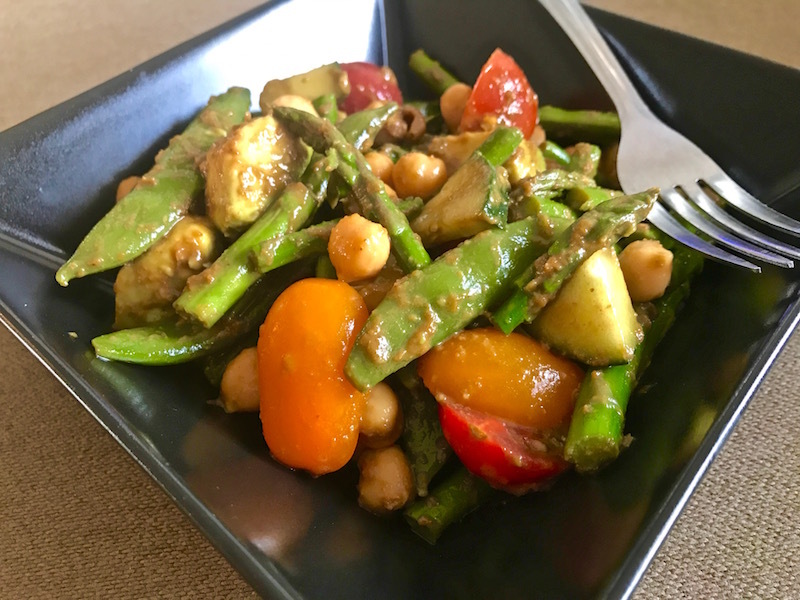 Asparagus and Sugar Snap Salad with Molasses Vinaigrette | Keep It Up, David! 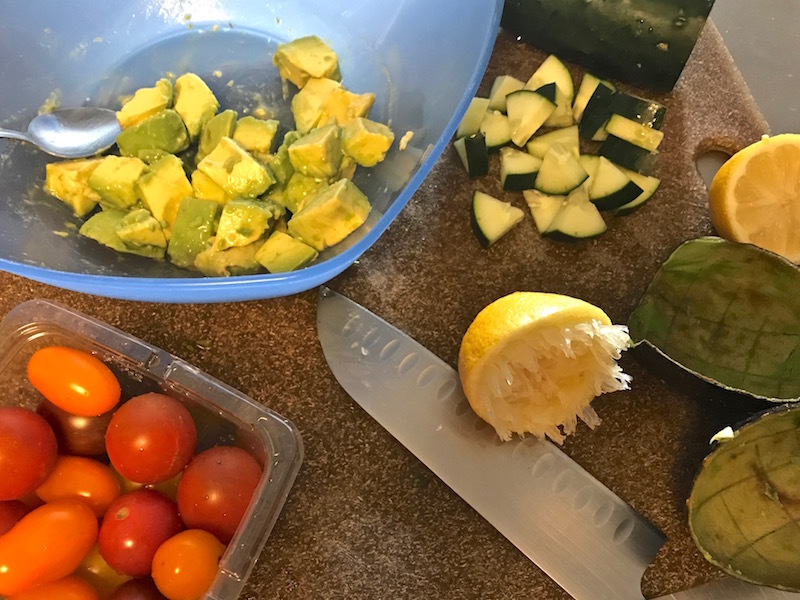 A few weeks ago, I shared my recipe for Cauliflower, Tomato and Avocado Salad – which I really enjoy, because it’s a delicious non-lettuce-based salad, and sometimes I get bored with lettuce. 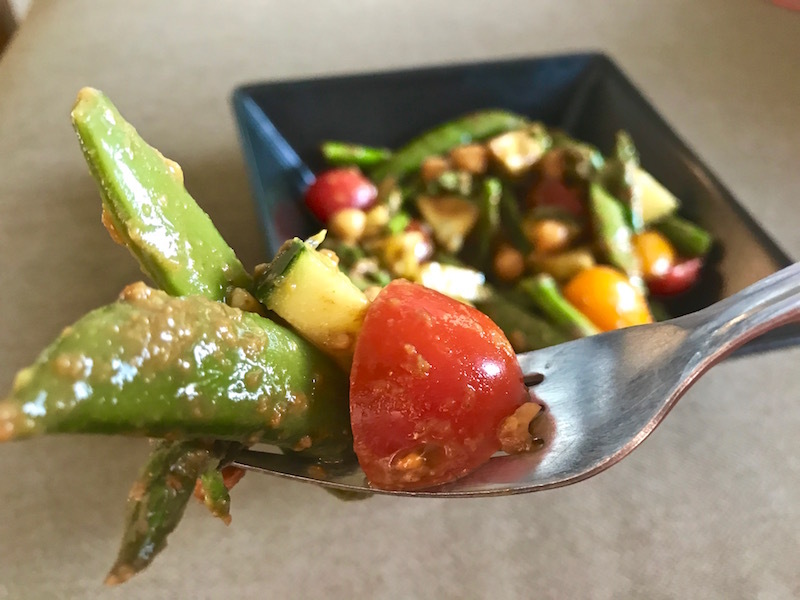 And here’s another non-lettuce-based salad recipe, that’s equally as delicious: Asparagus and Sugar Snap Salad with Molasses Vinaigrette! 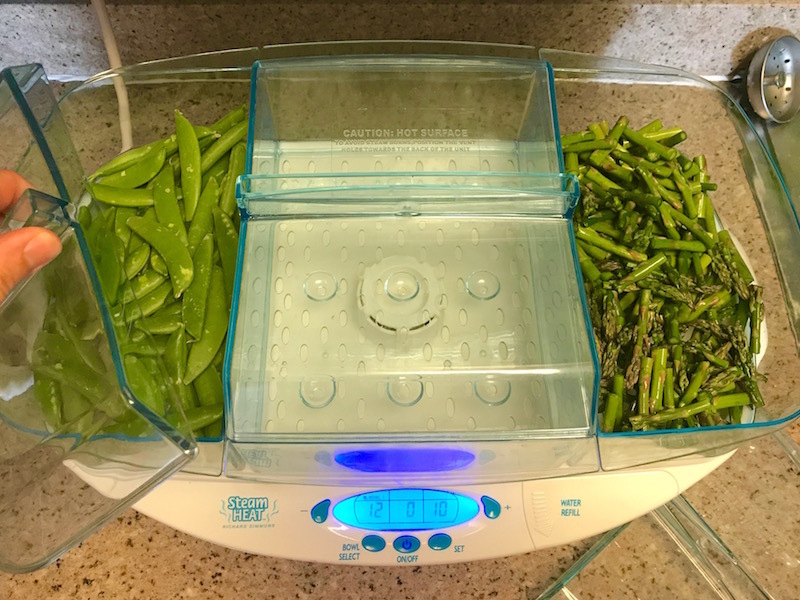 When the asparagus and sugar snaps are done steaming (they should be tender, but not mushy), run them under cold water to stop the cooking process and cool them down, because this isn’t a warm salad. You can add them to the bowl after the rinsing process. The only thing left to make is the dressing! I used my Magic Bullet tiny blender, because it was the perfect size, and I do love using infomercial products! You can use a regular blender, or even just a whisk (if you take the time to mince the shallot really finely). I just blended it enough to combine all the flavors and pulverize the shallot into a million little pieces. 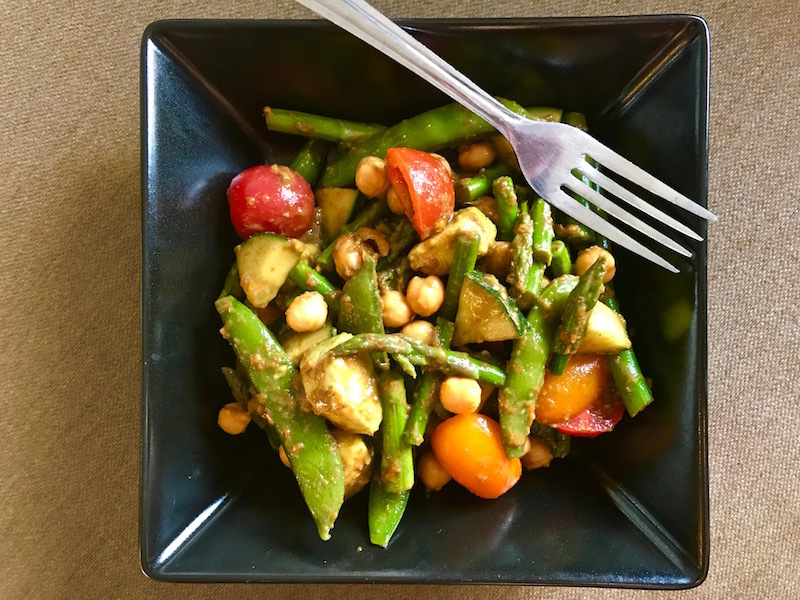 The shallot prevented the dressing from being perfectly smooth, but that’s okay – texture is good! 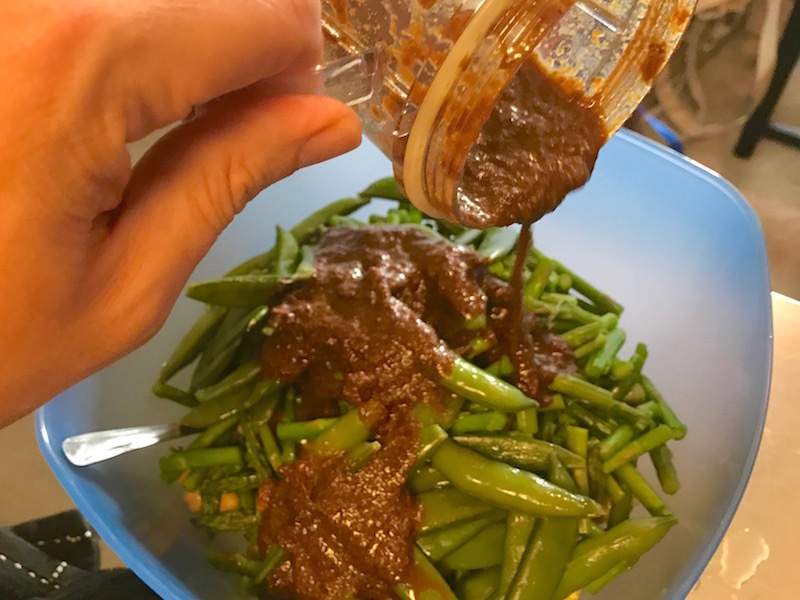 The finished dressing actually looked like melted chocolate… but it didn’t taste like melted chocolate! And the only thing left to do is toss it all together. Voila, salad! 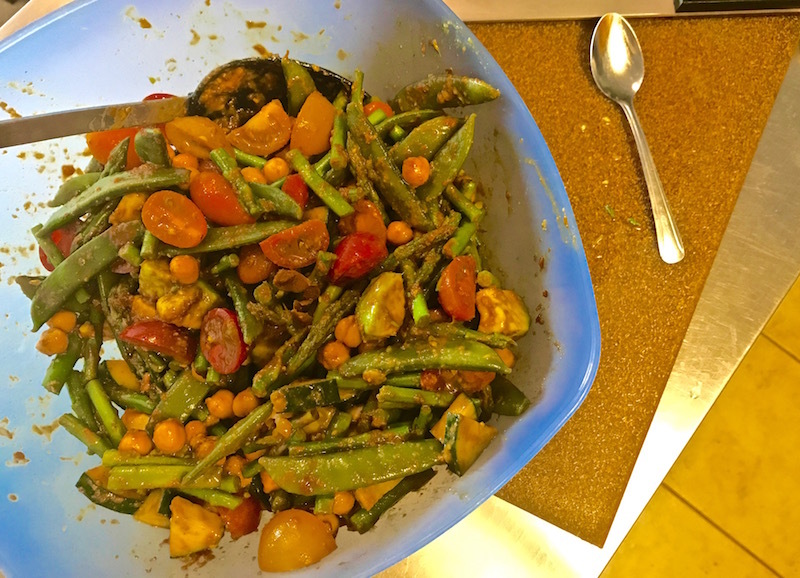 The mixture of cooked veggies and raw veggies is a really fun combo, and the molasses vinaigrette adds sweet, bitter, spicy, and rich flavors. I’m kinda on a molasses kick right now, after rediscovering the bottle in the back of my pantry. I’d say this salad would serve 6 people, or maybe fewer if it was an entree instead of a side dish. A 1/6th serving has 215 calories, 10.3 grams of fat, 6 grams of protein, 151 mg of sodium, and 26 grams of carbs (about 1/2 of which are sugars). It’s also a really good source of vitamins C and A, and iron. 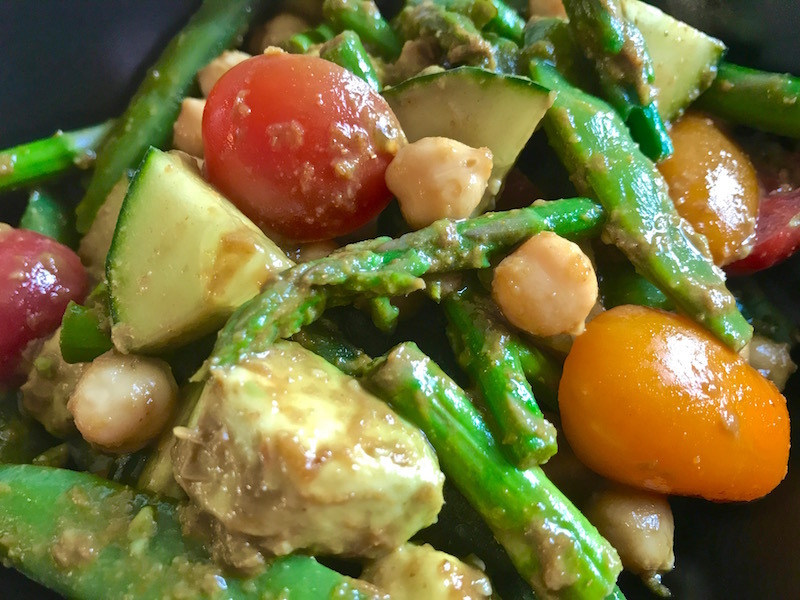 Plus, the avocado and beans add some healthy fats. Lots of good benefits in this salad! And the best part is, it tastes really good! 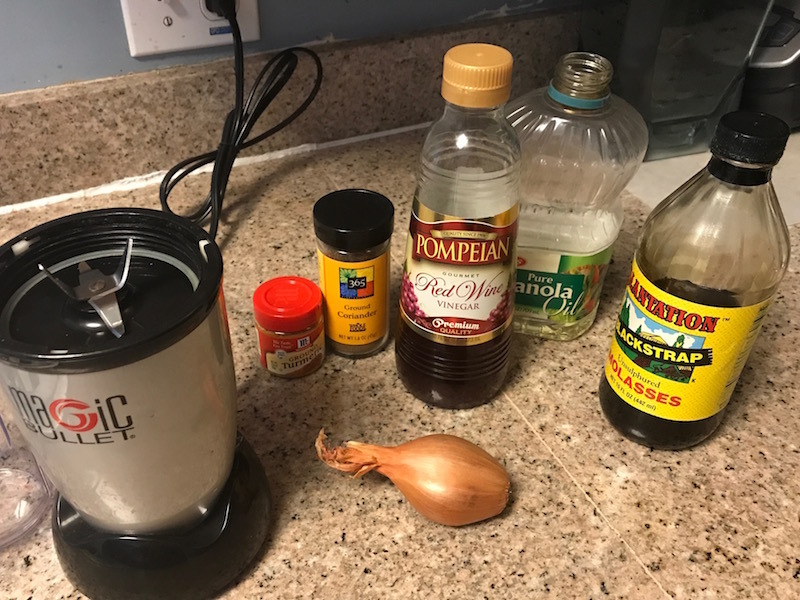 And I’m looking forward to using that molasses vinaigrette on other types of salads, too – or maybe as a marinade for chicken or fish. This entry was posted on Tuesday, April 18th, 2017 at 2:15 am and is filed under Uncategorized. You can follow any responses to this entry through the RSS 2.0 feed. You can leave a response, or trackback from your own site.